The purpose of project timesheet is to monitor the details of the project from the start of planning it until the final completion of it. 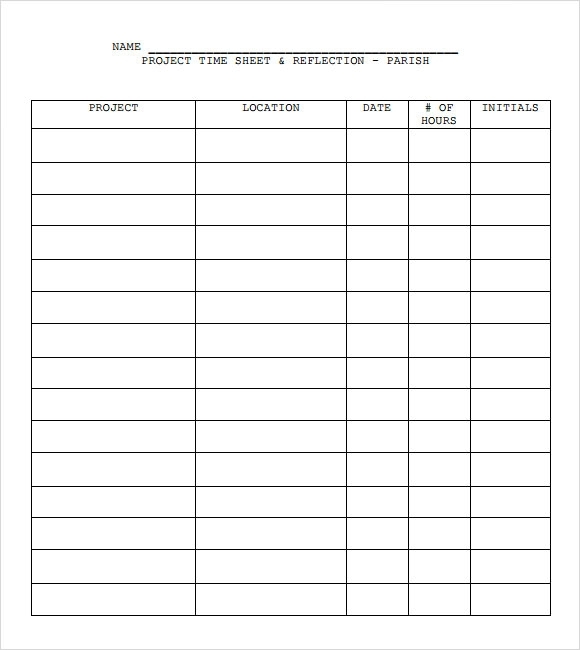 The Project Timesheet Templates is a tool used to keep track and record the status and update necessary things about the project. This includes the expenses, time and contract duration and proper budgeting for the whole project. 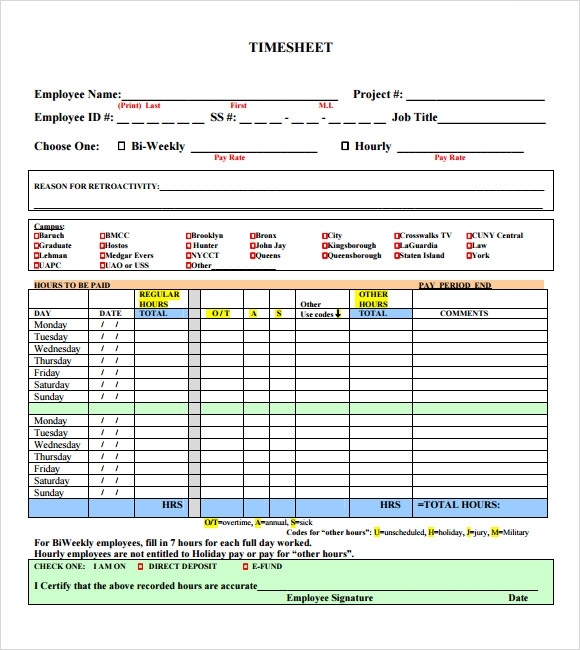 The use of template for project timesheet makes it easy to be well informed and keep the project status on time.Templates found in the website just like for timesheet documents are a helpful for everyday use. 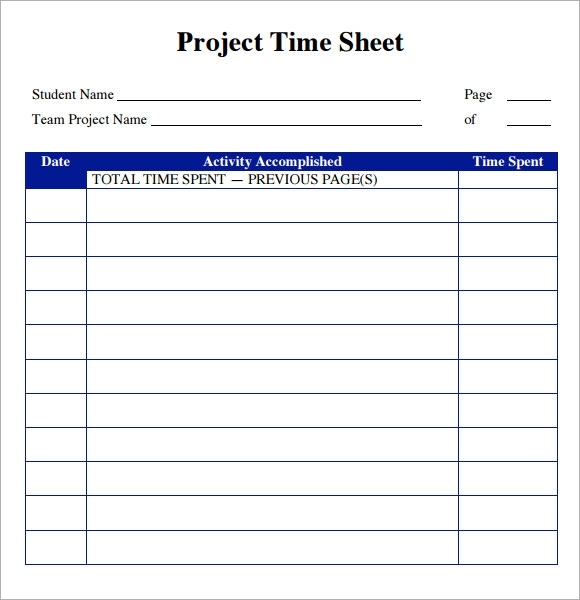 The project timesheet template offers various samples of timesheet layouts depending on the nature of project. These samples are free to download in a preferred format type. Comprising of three tables, the timesheet’s first table requires details of regular, PTO and OT details for every day for two weeks and the total at the end of each week. Employee name and department details are required. The second table requires details of total hours to be paid for regular, PTO and OT. The third table requires the account, project ID and percentage allocation of the worker. The remaining timesheet comprises of declaration and authorization. The next timesheet is for students. In this the Name of the student and the Team Project name along with the Page are included. The table has 3 columns that require details of the Date, Activity Accomplished and Time spent to accomplish the activity. Finally the total time taken for the project completion is entered. The timesheet seen here has one big table that has 4 main columns where the Second column has 5 sub divisions and third column has 7 subdivisions which are the days of the week. This table contains details of Project, job number, days, and total amount. The small table above this asks for the Payroll Name, week number and total hours. The lower section requires the signatures of the worker and authority and the date. 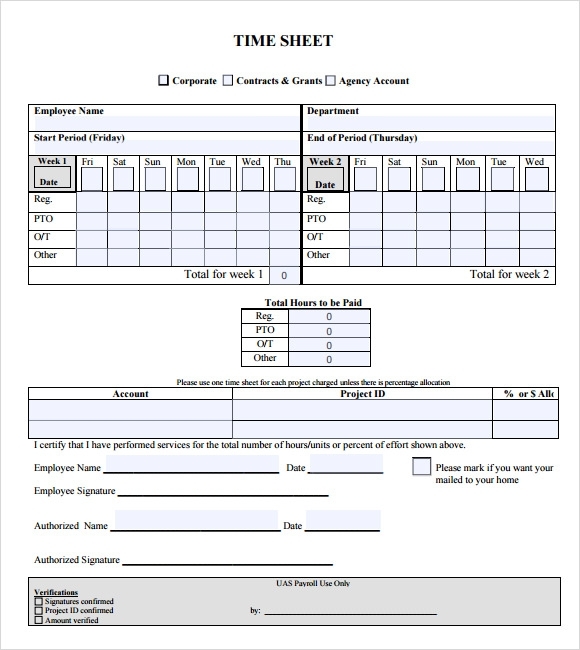 The daily timesheet consists of 6 columns that require details of the worker. The details required are: Date of work, PW or reference number, start time, stop time, total hours of work and work description. Other than the tabular column one must also fill account number, project number, name and title. 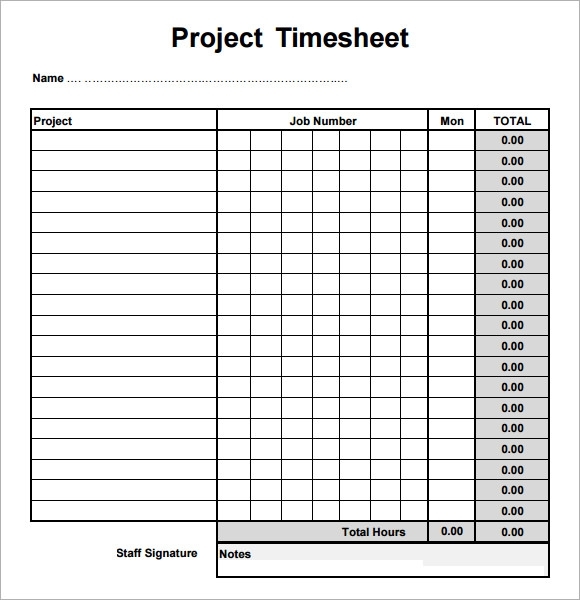 What Is The Use Of A Project Timesheet Template? 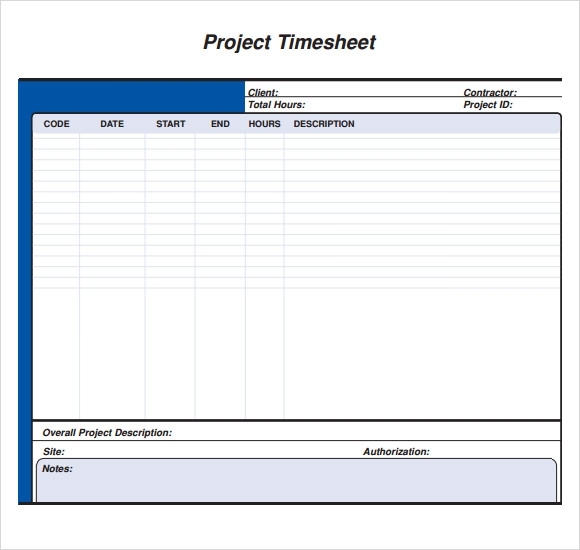 What Are The Advantages Of Using Project Timesheet Template? The technical method of timesheets reduces the unwanted work of creating and dropping bills which can help to increase the revenue of the company. In project management the timesheets help to realize how much effort or labor is required to attain progress and development. 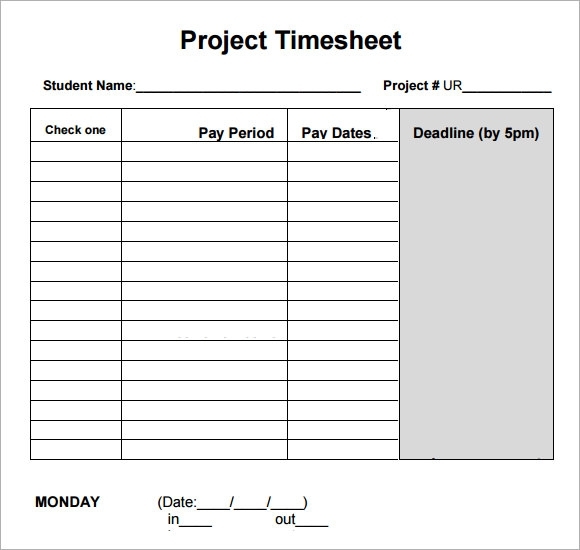 What Is The Significance Of Project Timesheet Template? The timesheets play a major role in the business organizations because they act as a written proof for the amount of time an employee has worked because at times some employees may claim to have worked longer just to be paid more. In this case the timesheets are helpful to verify the facts and avoid loss. Furthermore big organizations face the trouble of error because of the high number of employees. Allotted timesheets avoid this error and prevent disasters regarding payrolls. The timesheets also allow you to check if the employers are underutilized and hence avoid this to achieve highest outcome. The timesheets are a helpful tool for the business sectors because they allow the authorities to analyze the functioning of the company and take action to increase the profits. Just by using regular entry of details regarding work and timing, the organization can have an efficient management of work and function without any disturbances or risks of error.